"This edition of the classic J. H. Jackson translation features a new preface and introduction by Edwin Lowe, which gives the history of the book and puts the story into perspective for modern readers. First translated into English by Pearl S. Buck in 1933 as All Men Are Brothers, the original edition of the J.H. 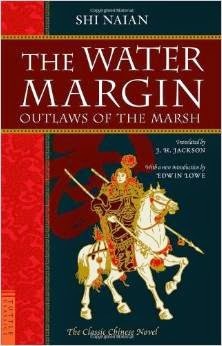 Jackson translation appeared under the title The Water Margin in 1937. In this updated edition, Edwin Lowe addresses many of the shortcomings found in the original J.H. Jackson translation, and replaces the original grit and flavor of Shuihui Zhuan found in Chinese versions, including the sexual seduction, explicit descriptions of brutality and barbarity, and the profane voices of the thieving, scheming, drinking, fighting, pimping lower classes of Song Dynasty China. Similarly, the Chinese deities, Bodhisattvas, gods and demons have reclaimed their true names, as has the lecherous, over-sexed and ill-fated Ximen Qing. All of which was sanitized out when first published in 1937." 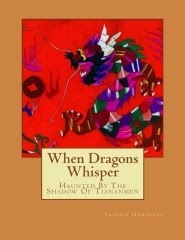 When Dragons Whisper - Haunted By The Shadow Of Tiananmen by Valerie Horniman, was launched on 13 September 2014. 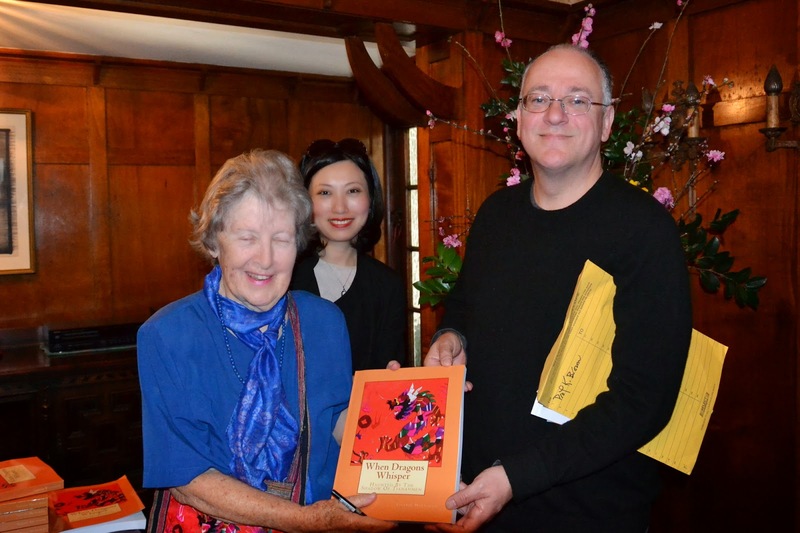 Launching the book were Professor Kerry Brown, Director of the China Studies Centre, the University of Sydney; Professor Jocelyn Chey AM; and Dr Catherine Runcie; with Valerie Horniman and guest of honour, Ling Hou. by Valerie Horniman, Forewords by Catherine A. Runcie and Jocelyn Chey (Edwin H. Lowe Publishing 2014). When Dragons Whisper is now available in both colour and black-and-white print editions, as well as colour Kindle. Buy When Dragons Whisper at the Edwin H. Lowe Publishing Bookstore. In 1979 Australian teacher and education administrator, Valerie Horniman, began mentoring Chinese postgraduate scholars at the University of Sydney. They were the 'Gang of Nine' and were among the first scholars from mainland China to be awarded degrees at a Western university, since the establishment of the Communist government in 1949. The 'Gang of Nine' arrived in Australia in 1979, at the very moment that China began its head long rush into 'Reform and Opening Up'. The 'Gang of Nine' had endured academic repression and personal hardships during the intellectual calamity of the Cultural Revolution. Now, they found the intellectual freedom and the intellectual rigour of a Western university, as well as life in Western society, liberating, confusing and confronting. Valerie Horniman extended her friendship, support and understanding to the 'Gang of Nine', who would become important scholars upon their return to China. 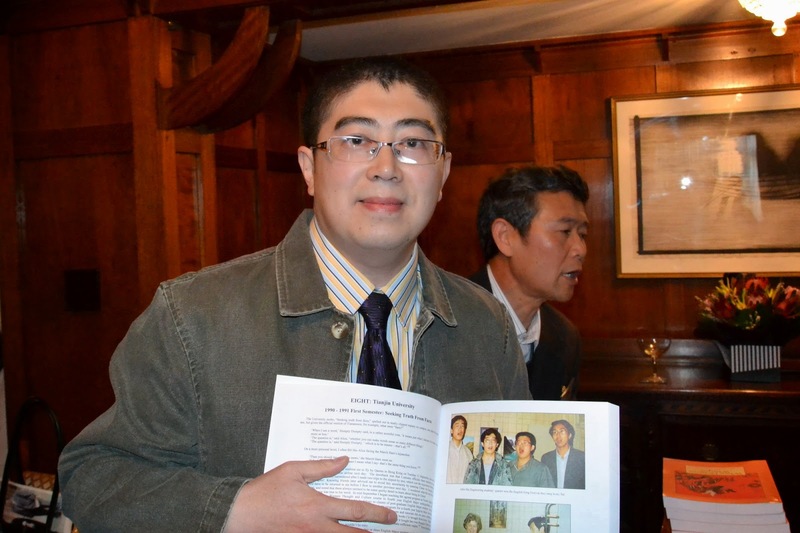 That mentorship was turned full circle in 1990, when Valerie began a new career as a teacher of English literature and Western culture to postgraduate students in Chinese universities. Valerie plunged head on into Chinese universities in the immediate aftermath of the 1989 Tiananmen Square student protests and the June 4th massacre. Valerie arrived to find Chinese students seething with barely concealed discontent. Repression of intellectual freedom had returned to Chinese universities, as the hard line conservative leaders sought to regain control of university campuses. Yet the 'Cultural Fever' for Western thought and ideas which had gripped China since its 'opening up', was a genie that could not be returned to its bottle. After the 1989 Tiananmen Massacre, China forged on with reform, continuing to wind back stifling totalitarian controls, while at the same time, carefully building new forms of authoritarianism over a rapidly changing society and economy. It was amidst this ambiguity and uncertainty that Valerie was given a free hand in curriculum design and content. 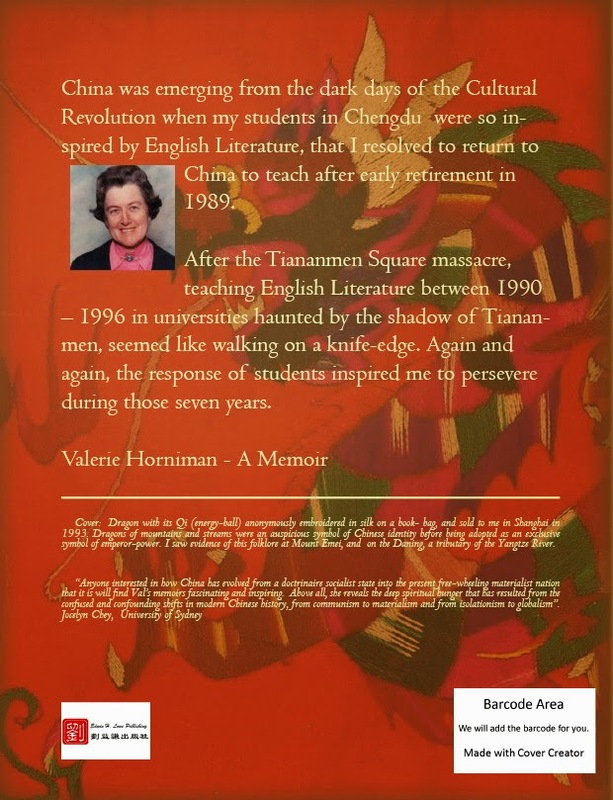 Valerie tapped into this curiosity and thirst for Western knowledge amongst Chinese students, whilst walking on a knife edge, teaching in universities haunted by the shadow of Tiananmen. Valerie faced vast cultural gaps between Chinese and Western culture. She bridged those gaps by drawing upon her love of Chinese literature and arts. Expertly guided by Professor Hou Weirui of the 'Gang of Nine', Valerie used the universal ideas she found in Chinese literature as a key to unlock her students' understanding of English literature and Western thought. Valerie's students studied a broad range of English literature, free from the constraints of ideologically mandated scholarship. Her students studied George Orwell's 'Animal Farm' - watching the animated film and singing 60's protest songs - on an anniversary of the Tiananmen Massacre as police patrolled the campus. Challenging and innovative, Valerie's teaching satisfied both her students' thirst for knowledge, as well as their desire to covertly express critical and taboo topics in the wake of Tiananmen. 'When Dragons Whisper - Haunted by the Shadow of Tiananmen' is Valerie Horniman's memoir, documented with colour photographs. It is the story of her seven year odyssey in China - her journeys and her teaching in a China still opening up in the wake of the Tiananmen Massacre. "As I read of her classroom experiences, I am very much aware of how her pedagogic mandate to teach English Literature, Western Thought and Culture, and thesis preparation was constantly motivated by her unique combination of a deep love of several English literatures, Australian among them, of music and of world history plus a plucky and very Australian love of natural justice. All this with her affection for her students who always inspired her and her love of China. 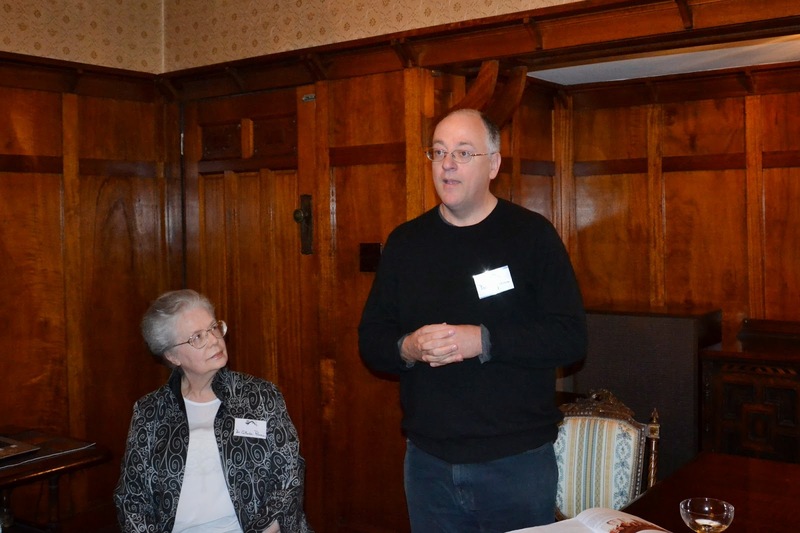 After over forty years of university teaching, I still find inspiration in Val’s tales of teaching. Her candid and caring book is a friend to China as much as to students and teachers everywhere." "Anyone interested in how China has evolved from a doctrinaire socialist state into the present free-wheeling materialist nation that it is will find Val’s memoirs fascinating and inspiring. Above all, she reveals the deep spiritual hunger that has resulted from the confused and confounding shifts in modern Chinese history, from communism to materialism and from isolationism to globalism." The end of the Wanshan Archipelago Campaign of the Chinese Civil War, 7th August 1950. While the proclamation of the People's Republic on 1st October 1949 is what most people regard as the moment that heralds the Communist victory in the civil war, few realise that active hostilities in mopping up campaigns continued well into the late 1950s. The Wanshan Archipelago is a chain of islands at the mouth of the Pearl River delta, stretching from Macau to Hong Kong, creating a strategic choke point. Held by Nationalist forces after the main retreat to Taiwan, the islands, flanked by Portuguese Macau and British Hong Kong allowed the Nationalists to potentially blockade the Pearl River and the critical port of Guangzhou. A series of naval and amphibious operations by Communist forces with its headquarters in Zhongshan between May and August 1950 resulted in Communist victory despite significantly inferior naval forces. This battle was the last major campaign against Nationalist holdouts in south China, although an active counter-insurgency campaign continued against Nationalist guerrillas well into the 1951. It marked the final defeat of the Nationalist Party and the Republic in its spiritual home of Guangdong province. The Wanshan Archeipelago campaign of 1950 is the third historically significant naval battles that have taken place at mouth of the Pearl River in Guangdong province in south China. The first was the Battle of Yamen in 1279, when the Song Dynasty fought the last battle against the Mongol invasion, which resulted in the death of the last Song Emperor, Huaizong. The tomb of the Huaizong Emperor is in Shenzhen, though he is thought to have been lost at sea. The second was the Second Battle of Chuenpee during the Opium War in 1841, when the first ocean going iron steamship, the Nemesis spearheaded the British campaign, which forced south China open to trade, and ultimately, contributed to the fall of the Qing Dynasty. Much of the fighting of the opening battles of the First Opium War took place around Zhongshan. The creek that flows past my ancestral home is marked on British Admiralty charts as 'Nemesis Creek'. What interests me is that not only do these battle mark significant turning points in Chinese and indeed world history, but they are intimately and directly intertwined with my own family's personal histories, with the fall of the Song, the fall of the Qing and the fall of the Republic. It tells me that history isn't just about the great and the good. It tells me that history's hand reaches down to each of us - and connects us all to the great journey of humanity. Edwin H. Lowe Publishing - Ideas, Research, Writing, Editing, Publishing. When Dragons Whisper - Haunted By The Shadow Of Tiananmen, by Valerie Horniman is the new book from Edwin H. Lowe Publishing. Valerie's book will be launched in September 2014. The colour edition and Kindle edition will be available on Createspace estore and Amazon. The black and white edition will be available on Createspace estore, Amazon and other bookstores. 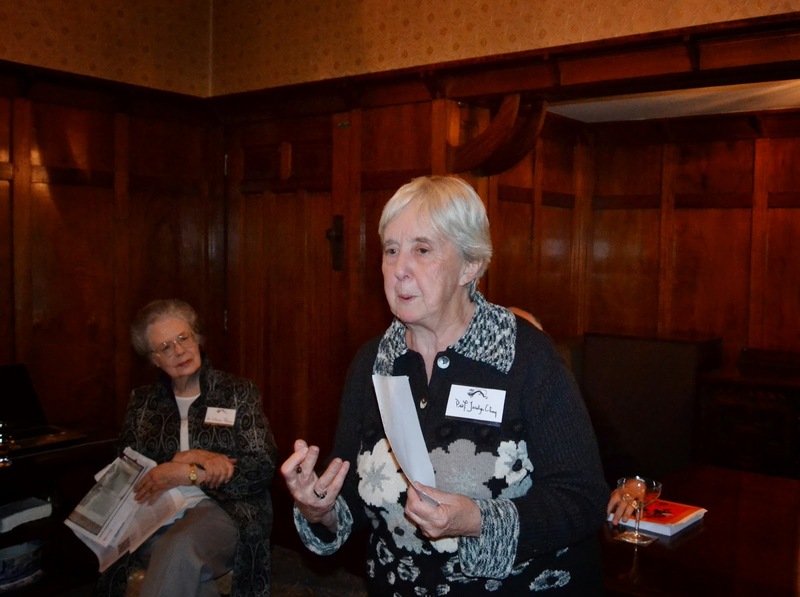 "In 1979 Australian teacher and education administrator, Valerie Horniman, began mentoring Chinese postgraduate scholars at the University of Sydney. They were the 'Gang of Nine' and were among the first scholars from mainland China to be awarded degrees at a Western university, since the establishment of the Communist government in 1949. Valerie arrived to find Chinese students with barely concealed discontent. Repression of intellectual freedom had returned to Chinese universities, along with political education, as the hard line conservative leaders sought to regain control of university campuses. Yet the 'Cultural Fever' for Western thought and ideas which had gripped China since its 'opening up', was a genie that could not be returned to its bottle. Valerie faced vast cultural gaps between Chinese and Western culture. She bridged those gaps by drawing upon her love of Chinese literature and arts. Expertly guided by Professor Hou Weirui of the 'Gang of Nine', Valerie used the universal ideas she found in Chinese literature as a key to unlock her students' understanding of English literature and Western thought. Valerie's students studied a broad range of English literature, free from the constraints of ideologically mandated scholarship. Her students studied Animal Farm - watching the animated film and singing 60's protest songs - on an anniversary of the Tiananmen Massacre as police patrolled the campus. Challenging and innovative, Valerie's teaching satisfied both her students' thirst for knowledge, as well as their desire to covertly express critical and taboo topics in the wake of Tiananmen. 'When Dragons Whisper - Haunted by the Shadow of Tiananmen' is Valerie Horniman's memoir, documented with colour photographs. It is the story of her seven year odyssey in China - her journeys and her teaching in a China still opening up in the wake of the Tiananmen Massacre." Welcome to Edwin H. Lowe Publishing. This site is under construction, so please check back regularly for updates on my publishing and writing services.